New York, NY., October 7, 2010 – The Airline Passenger Experience Association, APEX, formerly the World Airline Entertainment Association, drew a record attendance at the 31st Annual Conference & Exhibition, which offered an intensive day of education, a newly created recognition program honoring industry leaders for enhancing the passenger experience and a 3-day expo providing a window into the future of air travel. 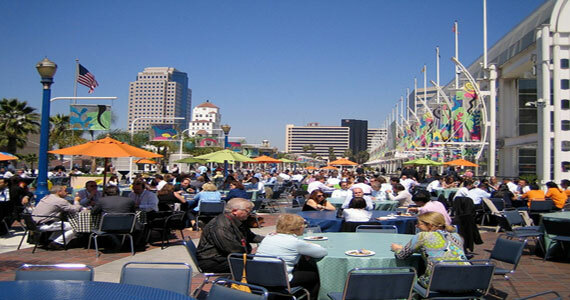 More than 2,300 representatives of the world’s top airlines and companies delivering inflight entertainment, communications, connectivity, seats, cabin interiors and publishing attended the industry’s premier event at the Long Beach Convention and Entertainment Center in Long Beach, CA, USA, last month. This year’s expo recorded the largest number of registered airline attendees with 396, representing 73 airline member companies from six of the seven continents. Vendor delegates accounted for 1,886, represented from 161 companies. In all, 2,343 people attended this year’s event. 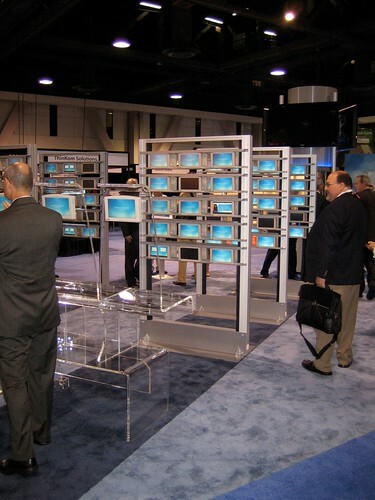 The expo was collocated with the International Flight Services Association (IFSA) and Aircraft Interiors Expo Americas to form the largest, most comprehensive exhibit of IFEC technology, inflight products and services in the world. The organization officially retired WAEA and transitioned to APEX. The membership voted to change its name earlier in the year to better reflect the role it plays in delivering the passenger experience for the world’s commercial airlines. The association new APEX logo, designed by a member and voted on by the membership, was unveiled at the conference and will be used on all marketing collateral moving forward. Approximately 550 people attended the educational sessions, which were led by APEX members and global industry leaders, and featured the latest trends in media programming, inflight broadband strategies, social networking opportunities and much more. Keynote speaker Sarah DaVanzo of the Kaplan Thaler Group opened the conference with her session, “The Egg + Snowflake Zeitgeist: Two Global Consumer Trends Shaping Lifestyle, Travel and Technology.” A comprehensive day of education followed. More than a dozen awards in a range of categories were given to recipients of the newly created Passenger Choice Awards™. Also handed out were the Avion Awards, Outstanding Contribution and Lifetime Achievement awards. The APEX exhibition offers the opportunity for airline representatives and vendors to meet face-to-face in pre-scheduled appointments to discuss and demonstrate various inflight offerings. Nearly 100 vendors attend the event each year to showcase the latest state-of-the-art audio and video hardware; the latest films, music and special programming; inflight phone, fax, and satellite telecommunications; passenger services and technology. 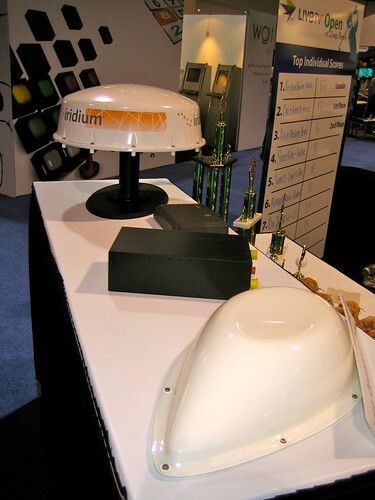 The 2011 APEX Conference & Exhibition will be held in Seattle, WA, USA, 11-15 September. For more information visit APEX. After looking through our show photos, we noticed that there were some other products, features, and companies we had not mentioned and we thought our readers might enjoy. We also found a few features we hadn’t noticed that last go-around. Here is the final roundup of the show coverage. Next week we will start ‘drilling down’ on the big ticket items and their features, and will do so for the foreseeable editorial future – so stay tuned. 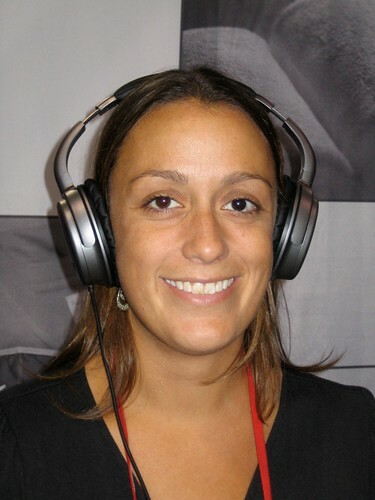 AVID’s Tom Mockler had us try their Premium Line Noise Canceling Headset – A6420 and boy did they work. While we did not get the price he noted that “they are half the price of the high end product”. And no, that is not Dave wearing them! You can follow AVID on Facebook! 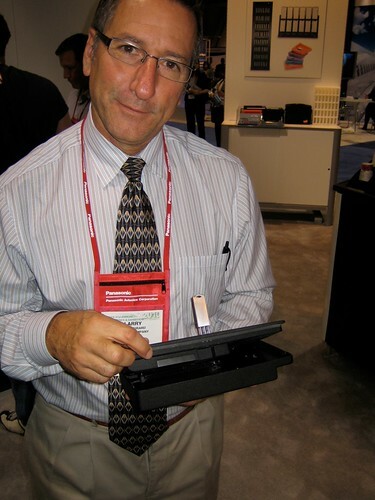 Larry Girard demo’ed the latest RAVE hardware – seatback screen/electronics assemble. Note the key used to access the display and it was the only HOT SWAPPABLE unit we saw at the show. The thickness of the unit has shrunk and we think airlines have already ordered. Visit the IMS website and check out the RAVE specs. 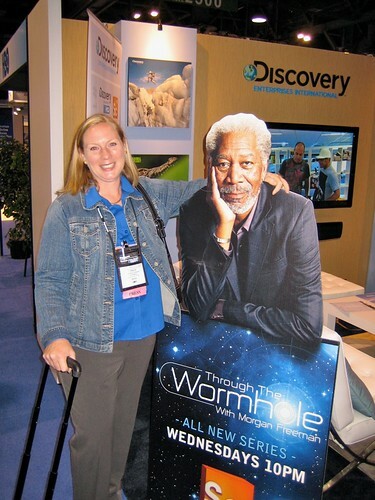 There were a lot of Hollywood stars at the show…. 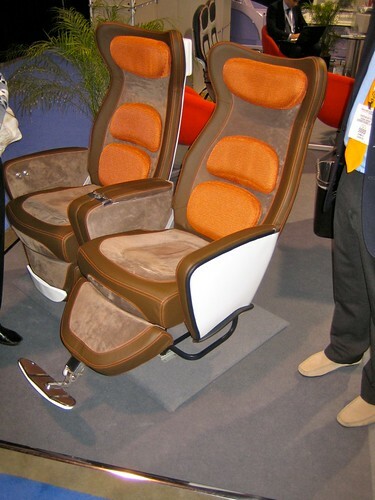 Here are two seats from Aviointeriors and note that they are positioned end of the spectrum. First, here is their elegant economy seat, and secondly the now-famous, “saddle seat”. Please observe that the latter demo unit is constructed of tubing (model-like), however, it is the cleverest seat marketing gimmick ever. 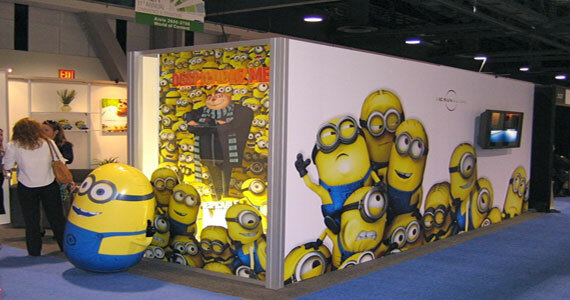 It garnered most press visits of the show! 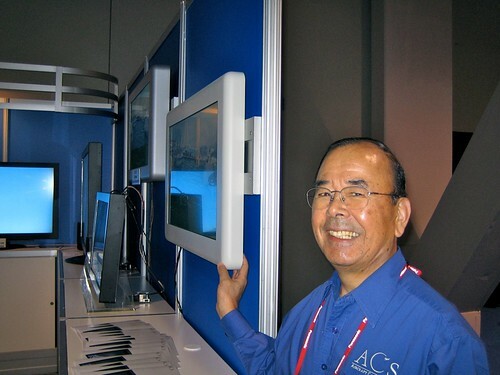 We doubt that we will ever see the latter on a plane because of the limited egress, and frankly, the Aviointeriors folks did not think it would gain acceptance because of cert issues. They did, however, perform some preference testing with no public results reported. 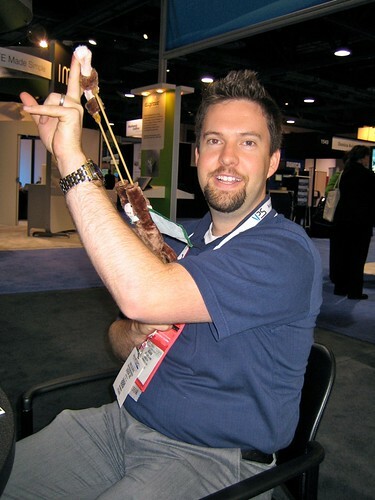 Good guy, Ray Felk, is now a consultant after spending many years at ECS. If you need equipment rack and/or cabling expertise, this is the fellow you want to get. You can reach him at 414 6178901 or via email: rfelk@aol.com. Tell him IFExpress sent you! 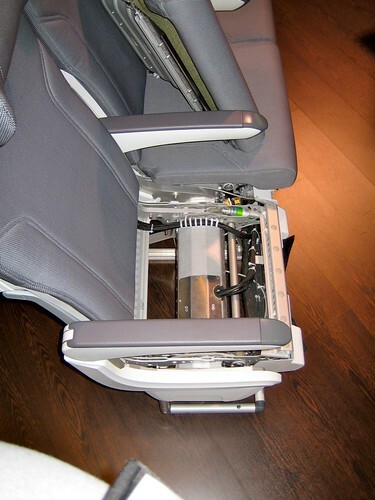 This economy seatback/tray table from Astronics has our vote as probably the best way to fly IFE-less in the “back of the bus” and bring those smartphones and iPods we all seem to carry – please note the USB charging capability. It will not support iPad power requirements (2 A or so), however, some bright person said to use the 110 AC power outlet and your 110 AC charging module – DUH! 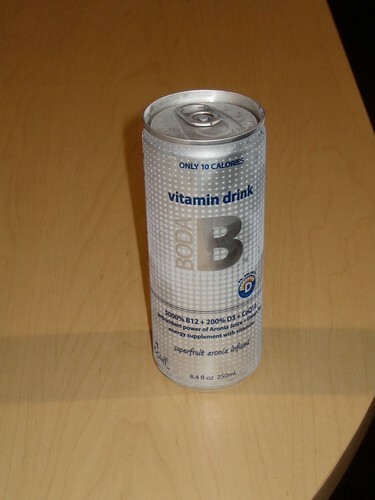 This is an ashamedly obvious plug for an energy drink, BodaB, concocted by Paul Burke, of Telefonix fame. The new formulation works even better than the old one (called EXE) which we equated with Lake Erie water (it wasn’t). The IFExpress crew sipped BodaB throughout the show. Also, be sure to check out their cord reel products on the telefonix website. 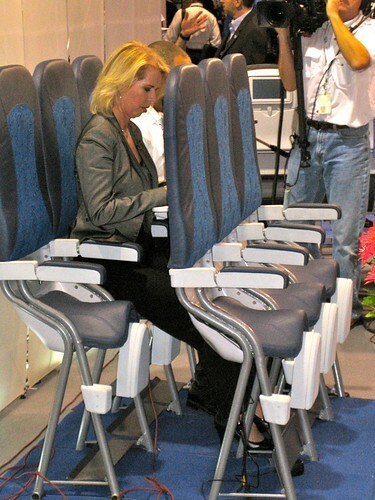 When you get rich (not in the newsletter business), this is what you will sit in when you fly! 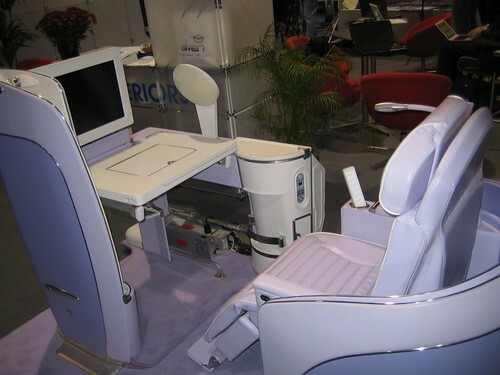 Thales brought their latest version of integrated seat/IFE and you should note the card reader and interface option panes on the lower left (USB port, phone jack, game controller, etc. Thin and gorgeous, we loved it. Watch the Next Generation video for the details. Very Cool! 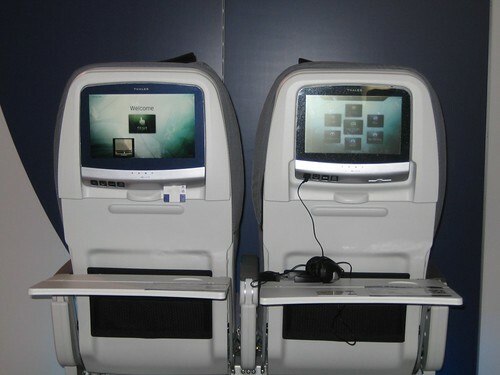 Not to be outdone, Panasonic showed their integrated IFE on 3 seat supplier products. 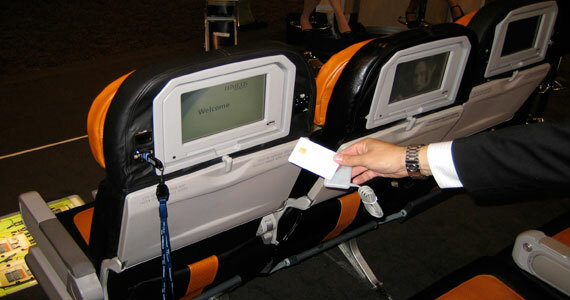 Now designated EcoSeries Smart Monitors offer seatback IFE with monitors as large as 11.1 inches. 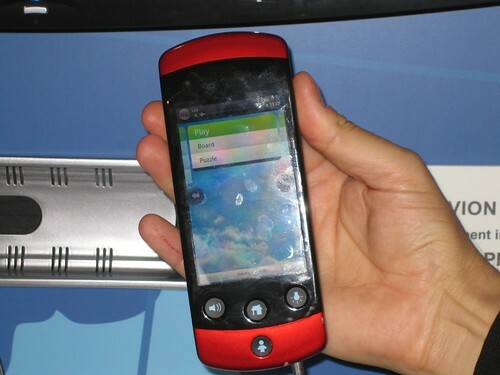 They have managed to reduce the thickness and cut the weight and power in half from their previous generation devices. Interestingly, there are no mechanical switches and they have a new optional, screen filter (lens) that offers viewing privacy. – also, now the tilt mechanism is eliminated too. Check out the specs in the link. 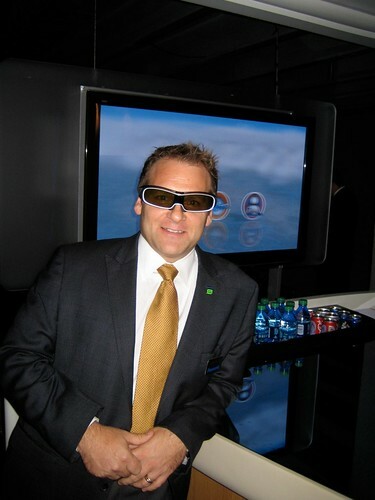 By the way, if you have not met the new Panasonic PR guy, Brian Bardwell, prepare to be impressed! Lastly, we have a new feature planned that will probably get your attention, if for no other reason than it will be somewhat controversial. We will tell you a bit more next time as the development work is underway! 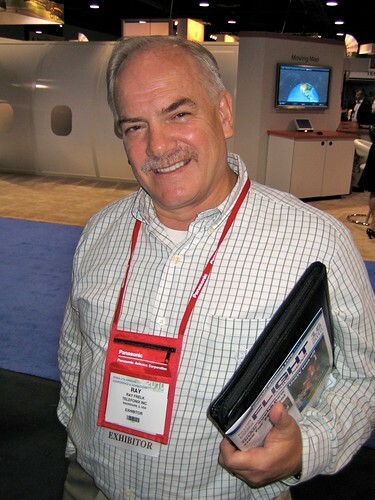 Long Beach, CA., September 16, 2010 – The Airline Passenger Experience Association (APEX), formerly the World Airline Entertainment Association (WAEA), is proud to announce the election of two new members to its Board of Directors. Jonathan Norris, the vice president of the cabin design office for Airbus, and Christine Zhu, product manager for Inflight Communications and Entertainment, for Cathay Pacific Airways, Ltd., have both been elected to serve on the board. Norris and Zhu will both serve one year terms, having been duly elected by the voting membership of APEX which has representation from throughout the inflight entertainment industry and passenger communications industry from the world’s leading airlines and vendors. The President, Vice President, Treasurer, and four director positions were all up for election this year. Sitting members of the Board running unopposed were President Patrick Brannelly of Emirates, Vice President Manoela Amaro of TAM Airlines and Treasurer Linda Palmer of Walt Disney Studios Motion Pictures Non-Theatrical. Directors, Chris Babb of Delta Air Lines, and Neil James of Panasonic Avionics Corporation, were re-elected, and will serve one and two-year terms, respectively. The Secretary, Dominic Green, Immediate Past President, Christine Ringger, and two directors, Kevin Bremer and Leigh Mantle, are sustaining members on the APEX Board. Results of the election were formerly announced today during the Annual General Meeting (AGM) of the Airline Passenger Experience Association (APEX). The AGM is a platform for APEX members to discuss important association business, plan for the future, and share ideas and comments about the association to the board of directors. APEX’s Annual Conference is the premier event for the inflight entertainment industry. The event was collocated with the International Flight Services Association (IFSA) and Aircraft Interiors Expos America, and took place at the Long Beach Convention & Entertainment Center in Long Beach, California USA, 13-16 September. The 2011 APEX Conference & Exhibition will be held in Seattle, Washington, USA, 12-15 September. Click here for more information about APEX. Sniffing out a story is what the Hot Topic is all about and this looks to be a good one. 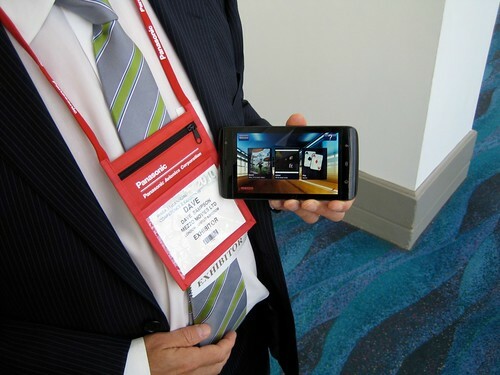 It appears that not only will The IMS Company reveal a new I7 (that’s “i” 7) – Personal Media Player in Long Beach at the WAEA/APEX Annual Conference, but that the player will be IMS’ first purpose-built portable. 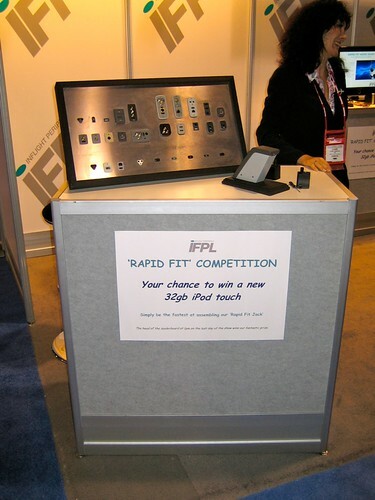 IFEXpress has learned that WIN, the WAEA Newsletter, will carry an article tomorrow, September 1, that says that COTS-leader IMS has opted to include a purpose-built PMP alongside its COTS devices in response to certain market requirements. We understand that the new player will offer as an option “the longest life battery in IFE” as well as enormous storage capacity. 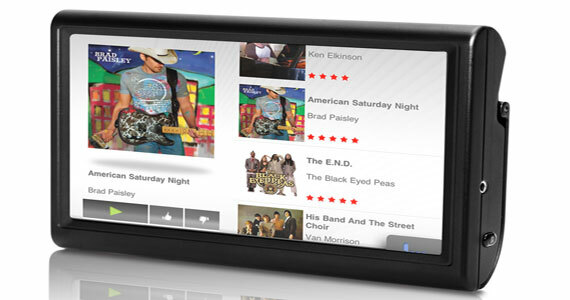 IMS has moved into Secure Digital (SD) technology in its RAVE™ seat-centric embedded system, its 4th generation Terminal Data Loader (TDL), and now for the hat trick – in its new player. 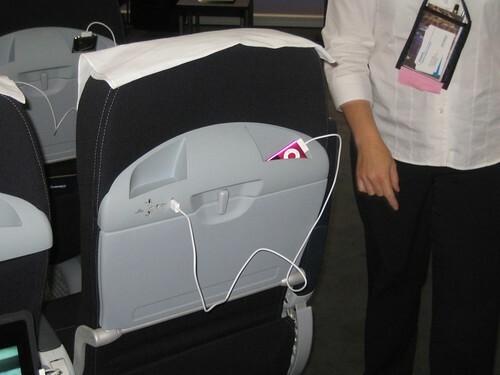 A reliable source tells IFEXpress that COTS (consumer-off-the-shelf) technology for portable media players does not make it easy to address the special requirements of some airlines for extended-life batteries and huge storage requirements at a price point that reflects where the market is today. While COTS may be very suitable for many airlines’ requirements, a growing list of requirements must be purposefully addressed, and IMS has done so. So check out WIN tomorrow, and the I7 at Booth 1638. And by the way, ask them about some unannounced customers for their new products! And now our second story (er, mmm, comment ) is about delay #7 for the Boeing 787 Dreamliner. It is an interesting view of recent outside consultant roles in realigning Boeing’s engineering excellence to that of McDonnell Douglas. At issue, and more recently, that of the outside consultants role in helping the employees to foster more openness, etc., etc.,? After reading this piece, we had to ask ourselves and our readers if Douglas management took over, why did Boeing have to buy them out? Here is that article. The Big Show, Plus Some Other Stuff! This is your unofficial reminder about the upcoming WAEA (soon to be APEX) Conference & Exhibition, Sept. 13 – 16, Long Beach, CA. If you are only budgeting one conference for IFE this year, this is the one. We asked an expert for a one liner about the forthcoming show and here is what he sent – most excellent! “There will be a full day of Educational Sessions on Monday, September 13. These include a panel discussion about repurposing COTS technologies in IFE. Moderated by Michael Childers (LightStream Communications), the panel includes Joseph Renton of The IMS Company, Brad Heckel of digEcor, Michael Reilly of Stellar Inflight and Mark Smith of American Airlines. 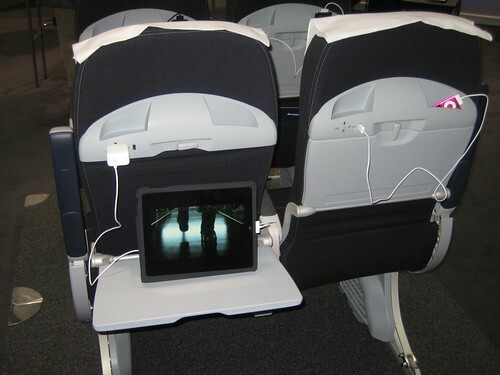 The panel will consider the use of COTS portables versus purpose-built portables, and the issues associated with repurposing COTS devices in IFE, including the difficulties involved in securing Early Window content. 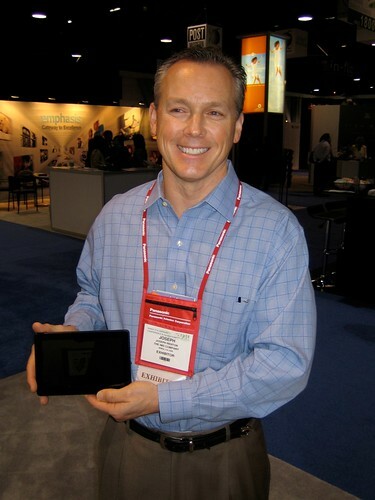 An update on Jetstar’s rollout of their iPads is on the schedule, and Jetstar has been invited. 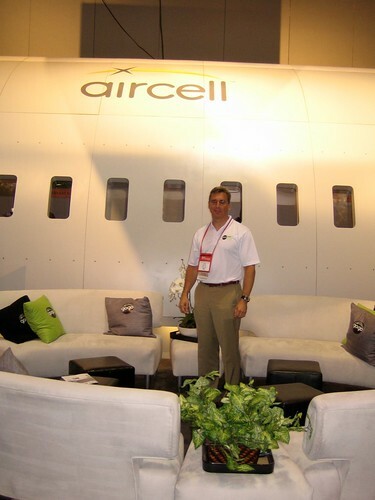 Social media in the airline industry will be discussed in a session headed by Bowen Payson of Virgin America, while inflight broadband will be discussed with Aircell, Row44, and Panasonic. The association’s new logo and winning designer will be announced, along with the Avion Awards. APEX Technology Committee will advise on “What’s your Technology Committee done for you lately?” Moderated by TC chair Rich Salter (Lumexis), the topics will include updates on content security watermarking by Leigh Mantle (Inflight Productions), digital advertising by Ian Walberg (Airborne Interactive), and new MPEG-4 settings by Michael Childers (LightStream Communications)—all members of the TC leadership who will be joined by David Coiley of Inmarsat, Erik Miller of American Airlines, Jonathan Norris of Airbus, and Bryan Rusenko of Crest Digital in a broad discussion of the technology issues facing the industry today. In separate sessions, Robert Smith of IMDC will also discuss technology in a panel considering “Managing the Passenger Experience in the New Generation of Aircraft,” and a Case Study on the arrival of new airline flydubai – the launch customer for Lumexis – will be presented by representatives of that airline.” Here is your link to more WAEA Conference info. Futurewatch: We hear from our high finance guru that airplane loan money is hard to come by this year. Apparently, ‘big capital’ is not interested in 100% financing on new lift. What to do? Simple, buy a bunch of retired or used birds for $10M to $20M each, add another $3M to $5M for interiors and IFE, and keep on flying. You know the rest – watch retrofit IFE sales take-off this year and next!